And a complimentary car wash with each visit! 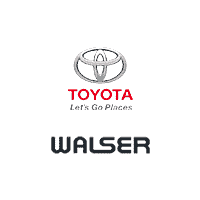 Our team of highly skilled service technicians have over 200 years of combined Lexus service experience, making Walser Toyota your one stop shop for all your Lexus service needs. From routine oil changes, all the way to advanced engine work, we have you covered. Schedule your service today or contact one of our professional staff members to get started. *Can not perform any factory Lexus warranty work. Customer pay only.